Straight talk: you’ve always wanted to straighten your teeth, but you just couldn’t imagine facing the world with a mouthful of metal braces for the next two years. In this case, the solution may seem worse than the actual problem. However, with Invisalign clear braces, you can finally get the smile you’ve always wanted without wires, brackets, or bands. 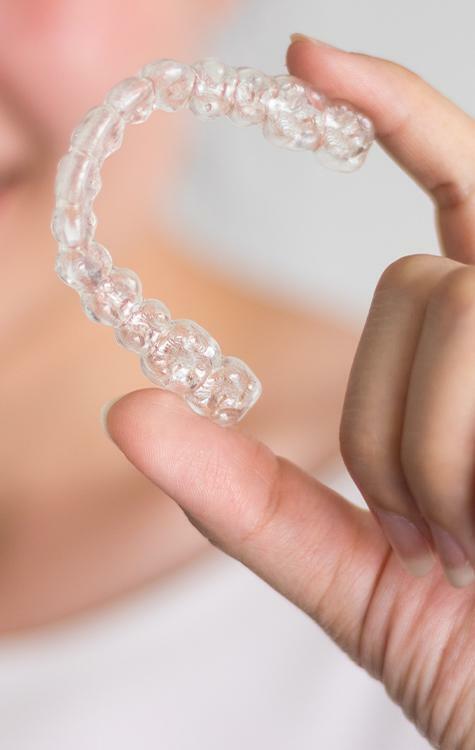 Invisalign treatment uses a series of custom-made clear plastic aligner trays to gently straighten teeth. They are practically invisible when worn, meaning the last thing people will notice is your treatment. Even better, they’re also easily removable, so you can take your trays out whenever you need to eat or brush your teeth. Plus, treatment with Invisalign is often much shorter than it is with braces, only taking 6-15 months as opposed to the YEARS needed for traditional orthodontics. Want to know if Invisalign is right for your smile? To schedule an Invisalign consultation with our cosmetic dentist and team at Stonebriar Smile Design in Frisco, please contact us today. 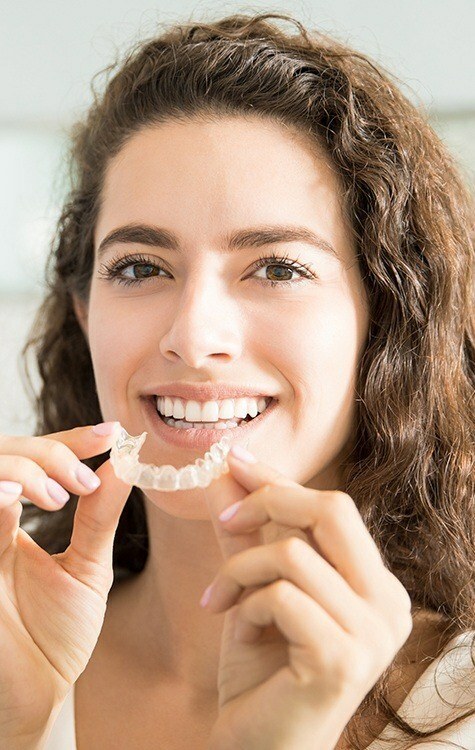 Invisalign is an orthodontic treatment plan that uses clear aligners to shift teeth into the ideal position over the course of several months. Each set of alignment trays represents the smile one step closer to the ideal end position. You’ll wear the alignment trays for about two weeks at a time. Then, simply exchange them for the next set in the series. Visit our office every six to eight weeks for checkups. During these regular checkups, we’ll make sure teeth are moving according to our plans, and we can even adjust your treatment to ensure you achieve the desired end result. 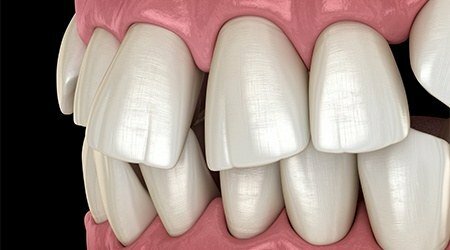 What Alignment Concerns Does Invisalign Correct? Today, almost any alignment issues can be corrected using Invisalign. From basic adjustment for uneven spacing to more advanced treatment for over, under, and crossbite, Invisalign clear braces can recreate your smile. How do I know if I'm a Candidate for Invisalign? Those who want to straighten teeth without worrying about the negative impact on their appearance caused by metal brackets and wires. Busy patients who can’t fit frequent orthodontic adjustments into their schedules. Patients who have allergies or sensitives to metal. Patients with sensitive teeth, gums, or gag reflexes, making traditional orthodontic treatment unnecessarily uncomfortable. Traditional orthodontic treatment can take anywhere from 18 to 36 months, but Invisalign significantly diminishes this treatment time. Most patients achieve their desired smile alignment in just 8 to 18 months with fewer, shorter appointments throughout treatment. Does your self-conscious teenager need their teeth straightened but you can’t imagine making them wear metal braces? With Invisalign Teen, they can get a straighter smile without having to worry about their appearance. Invisalign Teen uses the same discreet clear aligner system as Invisalign, but with two adjustments that make it perfect for teens. First, each aligner has a small blue dot that gradually fades as it is worn, and this will help you and your teen keep their treatment on track. Plus, Invisalign Teen also includes 6 free replacement aligners, which is perfect for even the most forgetful or clumsy teen. In most cases, patients can expect to pay between $500 and $2,000 more for Invisalign compared with traditional braces. Because Invisalign is completed more quickly than traditional orthodontic treatments, you may also have higher individual payments throughout the course of alignment compared with traditional braces. The added costs lead to additional benefits like speedier treatment, improved appearance, and increased comfort, making Invisalign orthodontics well worth the investment for many patients. In recent years, the majority of dental benefit plans have started to provide the same coverage for Invisalign that they do for traditional bracket and wire braces. If your dental insurance policy includes coverage for orthodontic treatment, our team will help you to maximize this coverage to offset the out of pocket costs of Invisalign treatment plans. How do I Care for My Smile During Invisalign Treatment? Caring for your smile during Invisalign treatment is a breeze. Remove your aligners each morning and every evening to brush and floss your teeth. You should also wash off your Invisalign trays using cool water and cleansing solution. During meals, you may want to store your alignment tray in cleaning solution to remove plaque buildup. Brushing teeth between meals can also improve your oral health during Invisalign treatment. Do I Need to Give Up My Favorite Foods? One of the many benefits of Invisalign compared with traditional bracket and wire braces is that you don’t need to worry about skipping your movie theatre popcorn or giving up any of your favorite foods during your smile alignment. Instead, remove your aligners and enjoy any meal. What are the Benefits of Invisalign Orthodontics? Speed – your treatment will be finalized in just 8 to 18 months compared with 18 to 36 months needed for traditional braces. Additionally, you will only need to visit us every six to eight weeks for dental checkups to ensure your smile is progressing according to plan. Traditional braces needed be adjusted once or twice a month by an orthodontist. Comfort – brackets and wires can irritate soft tissue, leading to discomfort throughout the course of orthodontic treatment. 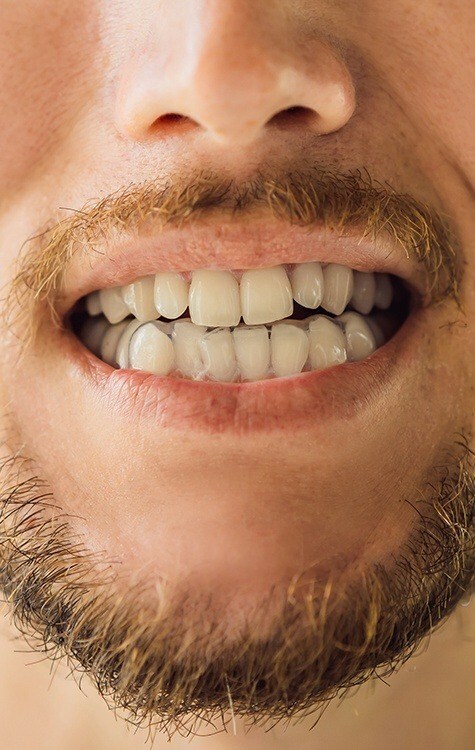 Comfortable, smooth alignment trays remove this irritation, allowing patients to shift their smiles with minimal pain. No hassle – because you can simply remove your Invisalign tray during meals and cleanings, there’s no need to change your diet or oral hygiene routine throughout the course of your Invisalign treatment plan. Simply, remove your aligner to eat all your favorite foods and brush and floss as usual.